Online furniture retailers who aspire to capture the entire country with a significant market share would rather need to revamp their product portfolio, sourcing methodology and the pricing strategies. No doubt India today stands as one of the most prominent countries with an exponentially high potential in online retailing. Betting on the aforementioned fact, every segment of retailing is trying their luck here. Some of them clicked while others are still struggling in order to find that breakeven. Amongst other verticals, furniture is one big vertical that is still at very nascent stage when it comes to online retailing. In a span of around 5 years, furniture and home products, as a category, has caught the attention of many horizontal eCommerce marketplaces. Looking at the traditional way of furniture retailing, the industry leapfrogged the brick and mortar model and directly moved to the pure play online commerce way. The industry has a huge potential and is largely dominated by the early adopters. Online retailers like Amazon, Snapdeal etc, with their vast consumer base and expertise in almost every categories of eRetailing, have successfully managed to dominate the segment. Online furniture retailers who aspire to capture the entire country with a significant market share would rather need to revamp their product portfolio, sourcing methodology and the pricing strategies. Online marketplaces like Urbanladder and Pepperfry who are more focused on hardwood furniture sourced from Jodhpur, would need to source products from other locations as well. This would not only give them access to a much larger variety of materials, but would also act as a distributed sourcing channel to address larger volumes. Aiming to tap Amazon’s massive consumer base, the Bengaluru-based online furniture retailer Urban Ladder has recently formed a strategic partnership with the eCommerce giant to catalyse its languishing sales graph. Under this arrangement, the furniture eRetailer will list 300 products across categories on Amazon and follow it up with another 400 home decor products, exclusively curated for the online retail biggie. This move by Urban Ladder is masterstroke against the rising competition with other online retailers including Snapdeal Flipkart. Commenting on the tie-up, Ashish Goel, Co- Founder & CEO, Urban Ladder said that the partnership will give them an access to leverage multiple channels and new consumer an experience of shopping furniture online. 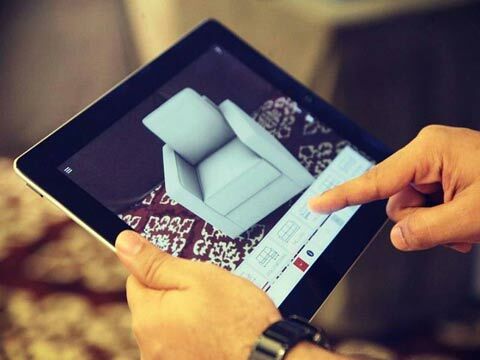 When it comes to online furniture retailing in India, the industry is currently witnessing a sluggish growth as the segment does not boast of high repeat purchases and most Indian shoppers still prefer buying furniture from traditional retailing ways. Pure-play furniture marketplaces faced a slowdown in their sales since mid-2015. These companies, in order to improve its unit economics, slowed their expansion spree. Many of such eCommerce marketplaces also struggled in order to raised fresh capitals despite of the fact that investors where aggressively injecting money in high-burn consumer- facing businesses. Looking at the recent change in trends and operational models, it is expected that the online furniture market will largely be driven by the marketplace model as there are large number of SKUs and a wide array of collections available. Larger access to sellers and exclusivity to consumers will be the key here. However, these suppliers have very low apathy towards online portal and thus they are open to supply to multiple players. As per the data from Reseer Consulting, globally the online market leader in furniture retailing doesn’t have a market share more than 7-8 per cent. India, too, is touted to follow the same patter, which clearly indicates a higher split in the market and thus attracting huge investments by 2020.